The United States government has gone after Volkswagen, following revelations that the company had modified its cars to cheat diesel emission tests. Today, Buzzfeed reports that the Department of Justice has sued the company in a federal court. The government is seeking to ban the import of all cars equipped with ‘defeat devices’ that modify emissions, noting that more than 600,000 cars on US soil are equipped with one. The government is also seeking compensation from VW of up to $32,500 for each car affected before January 2009, and $37,500 for each car affected afterward. It’s also seeking $32,500 for each day that the devices existed in cars before 2009, and $37,500 for each day after. 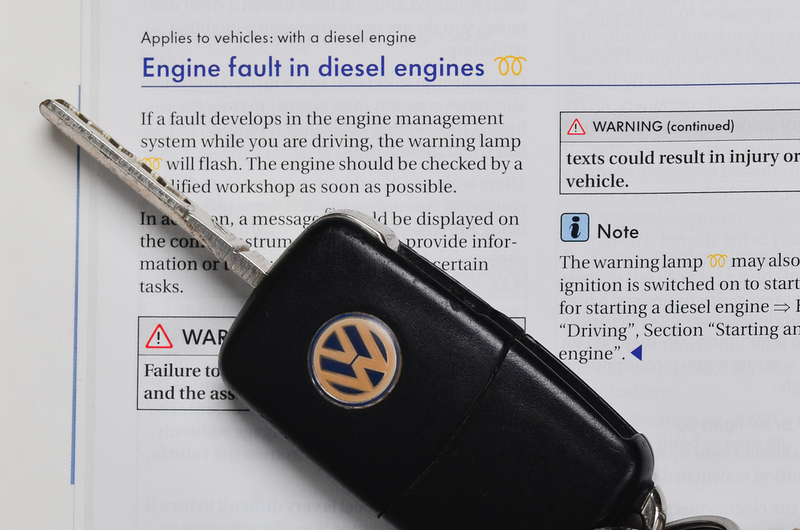 During FTP emission testing, the 2.0L Subject Vehicles’ ECM run software logic and/or calibrations that produce compliant emission results under an ECM calibration that VW has referred to as the “dyno calibration” (referring to the equipment used in emissions testing, called a dynamometer). At all other times during normal vehicle operation, the 2.0L Subject Vehicles’ ECM software run a separate “road calibration” that reduces the effectiveness of the emission control system. In other words, the 2.0L Subject Vehicles’ ECM software tracks the parameters of the FTP and causes emission control systems to underperform (or fail to perform) when the software determines that the vehicle is not undergoing the FTP. Volkswagen’s share price has dropped more than 25 percent since the allegations were raised and the company’s CEO, Martin Winterkorn, resigned in September. It’s likely the proceedings will be long and protracted as the company attempts to control the damage, and avoid a potentially gargantuan fine.